Redeeming United Airlines miles is a fantastic way to travel for nearly free on United Airlines and Star Alliance partners, like Singapore Airlines and Lufthansa. 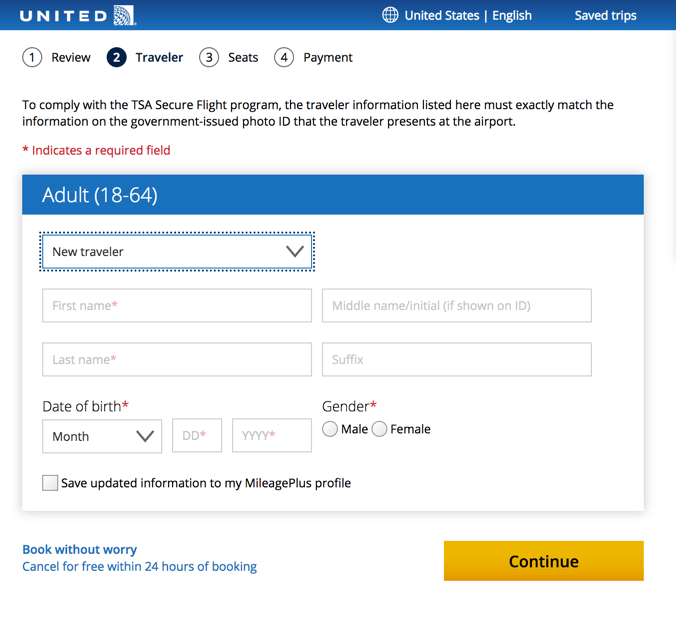 United Airlines’ website is a convenient way to search for and book award seats on United Airlines and their partner airlines. Because United Airlines typically releases more award seats than other legacy US airlines, their website is a great place to plan your next trip. Better yet, United Airlines doesn’t add fuel surcharges to their own or partner award flights, which means you’ll often pay much less in fees compared to redeeming other airlines’ miles! 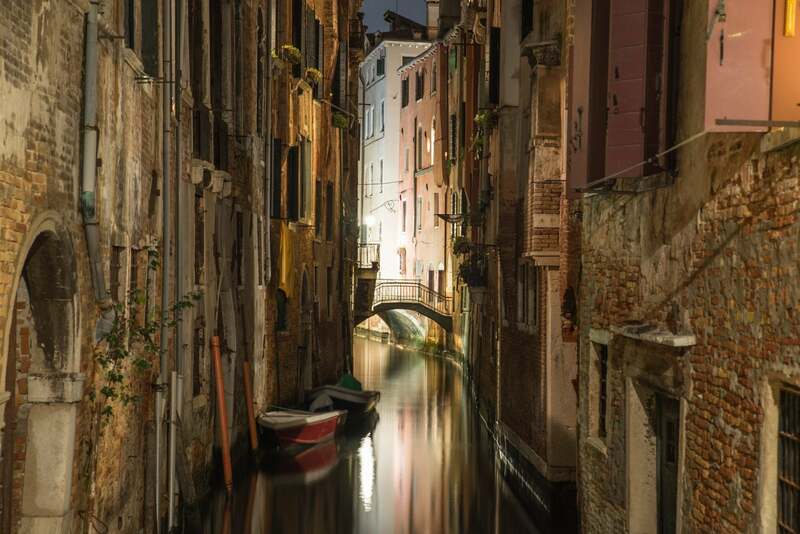 Europe Is Within Easy Reach With United Airlines Miles – and You’ll Never Pay Fuel Surcharges! We’ll show you step-by-step how to search for and book award seats with United Airlines miles, and share some tips on how to find the best award seats. You can book one-way or round-trip travel with United Airlines miles on United Airlines or partner airlines. 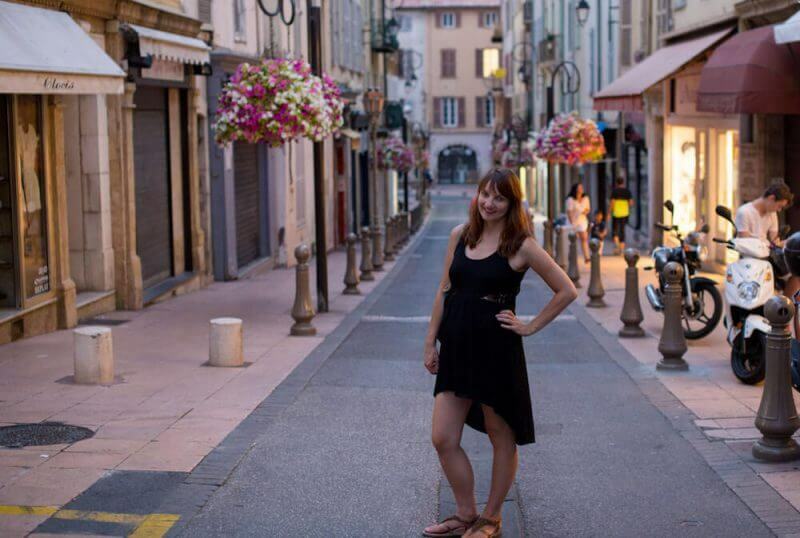 You can even visit multiple cities using the Excursionist Perk, which allows you to book complimentary stopovers. United Airlines uses a region-based award chart, which means flights are priced based on which regions you travel between. For example, any flight within the continental US and Canada would be considered as within one zone and priced equally. United Airlines and their airline partners release award seats at different pricing points based on season, demand, and other market factors. This means that award seats over the holidays can be considerably more challenging to find than during low season. Saver awards are the lowest-price award seats and can be booked by any Star Alliance frequent flyer program. In Star Alliance, these generally are “X” class for coach, “I” for Business Class, and “O” for First Class. 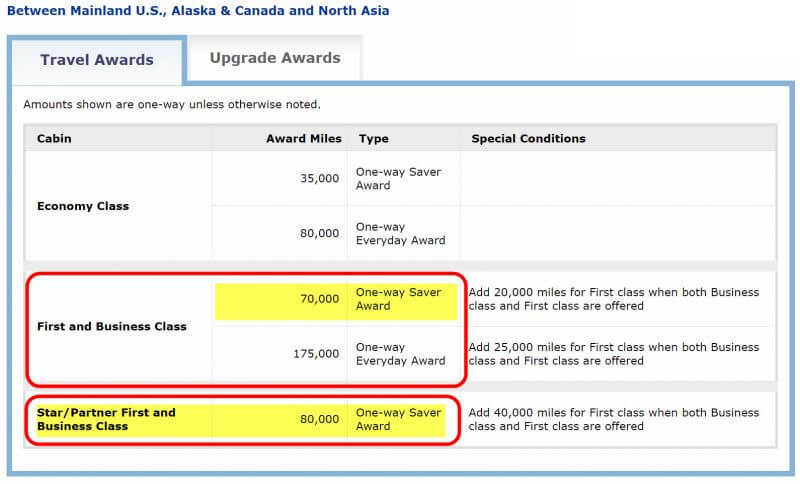 Everyday awards are more expensive awards that give you expanded award seats on United Airlines by paying more miles. These are NOT generally a good deal, unless you absolutely need to be on a particular flight. 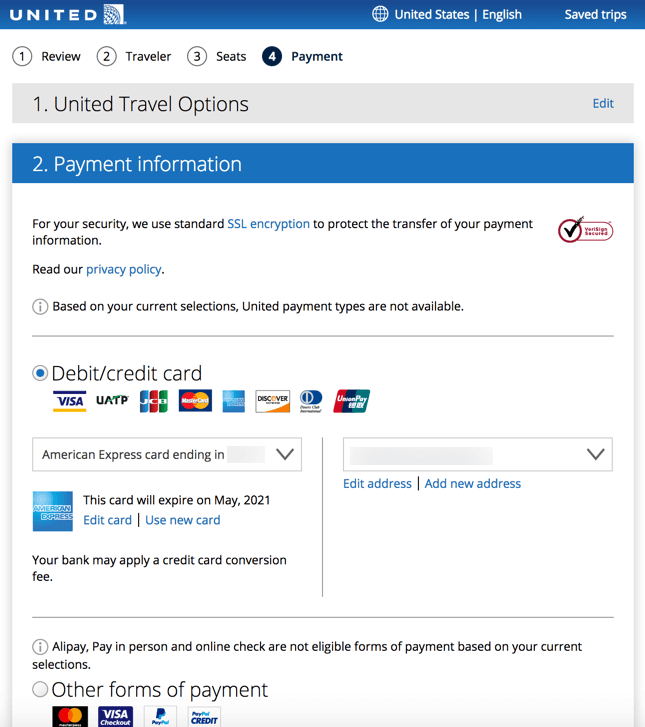 If you hold certain United Airlines credit cards, like the United Explorer Card, you will have greater access to Saver award seats on United Airlines. Partner airline frequent flyer programs can NOT book these expanded seats, so it’s an exclusive perk with the right credit card. All partner airline award seats can be booked on United Airlines’ website. Check out this post for more expert tips on how to book award flights with United Airlines miles! Some particularly valuable airlines to consider are Austrian and Lufthansa, which generally have high fuel surcharges through other frequent flyer programs. United Airlines doesn’t add fuel surcharges on any airline. 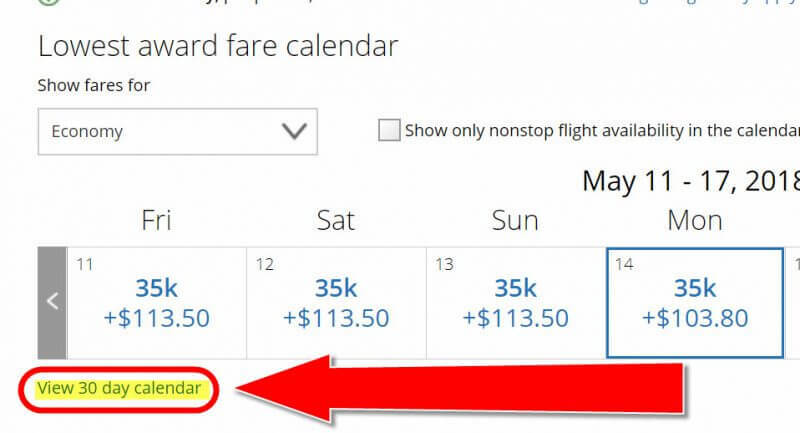 There is a $75 per passenger booking fee if you book an award flight less than 21 days prior to departure, but that can be avoided with a simple trick. If you are a United Airlines Silver Elite member, the fee is reduced to $50, and it’s $25 if you’re a Gold Elite member. If you hold Platinum Elite status or above, there is no close-in booking fee. First visit United Airlines’ website to start your search. You do NOT need to have an account to search for award seats, but if you hold a United Airlines credit card, you should log-in to see expanded available award seats. You would use the multi-city search function if looking to use the Exercusionist Perk. For example, you could fly from Chicago to Rome, then from Rome to London, and then from London to Chicago. 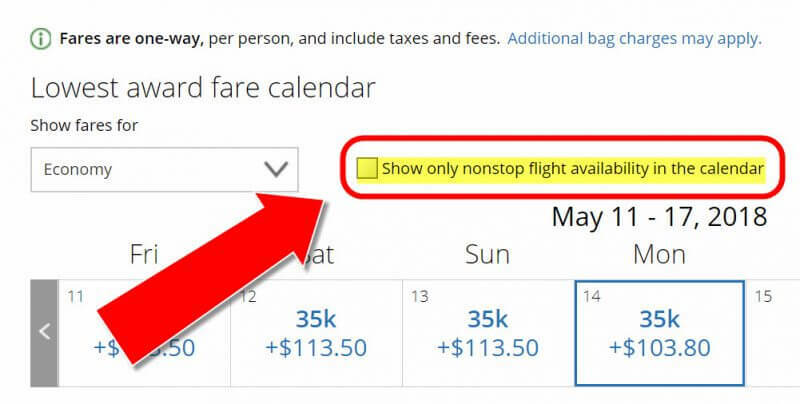 If you only want non-stop flights, you can select “Nonstop” to only see non-stop options. The “My dates are flexible” button will show you award seats over a monthly period, rather than on a specific day. And finally click “Search” and you’ll be redirected to award seat search results. Don’t Forget to Select “Search For Award Travel”! You’ll see a list of available award seats. If you find a desirable award seat, you can click “Select” to book. There Are No Fuel Surcharges With United Airlines Miles! Note that Saver and Standard coach seats are in the same column, so you should use the United Airlines award chart to learn what the lowest cost should be. You can NOT filter between United Airlines or partner airlines, so make sure you pay attention to the award price and the operating airlines. 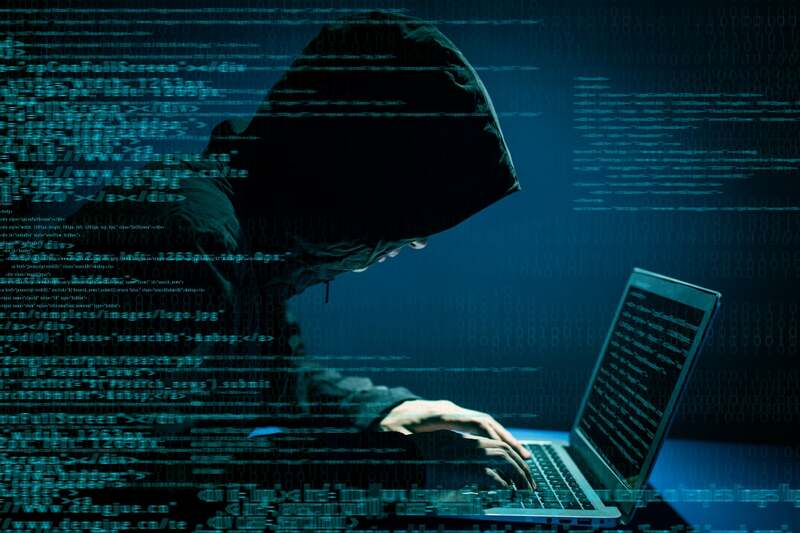 If you haven’t already done so, log into your United Airlines account to book your trip. After selecting your flights, you’ll be given a summary of the total award cost and fees. Don’t forget to confirm the travel dates, flight numbers, and departure times before you continue. Note: If you don’t have enough United Airlines miles in your account, you won’t be able to proceed past this step. But remember, you can instantly transfer flexible points from Chase Ultimate Rewards to United Airlines if you need to top-off your account. After this step, you’ll be asked to provide passenger information. You’ll then have the option to select seats. Finally, review your flight details and choose whether you want to insure your trip. Then, enter your method of payment and click “Purchase” to complete the booking. After booking, you’ll receive an email confirmation of your flights and receipt. 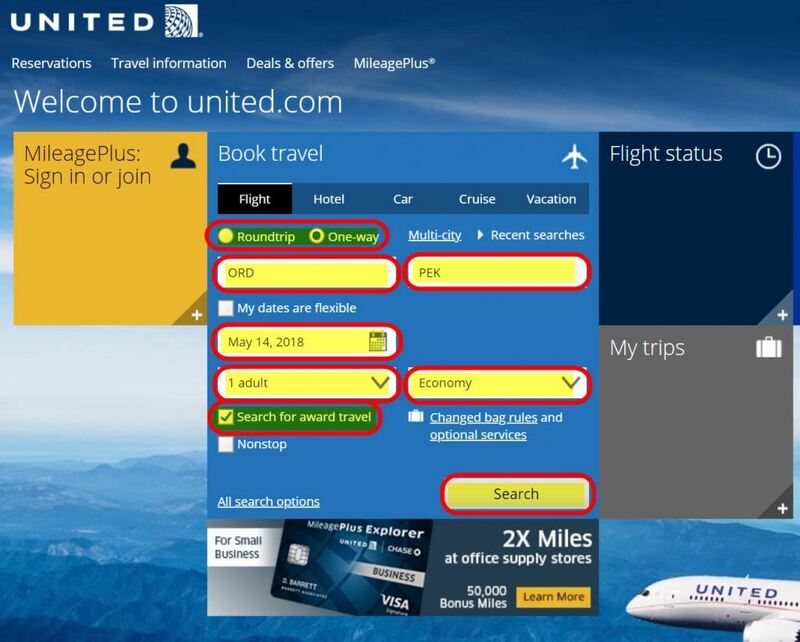 Searching for and booking award flights online with United Airlines miles is simple. And because United Airlines doesn’t add fuel surcharges, it’s often a cheaper option compared to redeeming other airlines’ miles. It’s also easy to earn United Airlines miles through co-branded credit cards or by transferring flexible points from Chase. In the next post, we’ll show you how having a United Airlines credit card can help unlock more available award seats and help you find more options for travel!